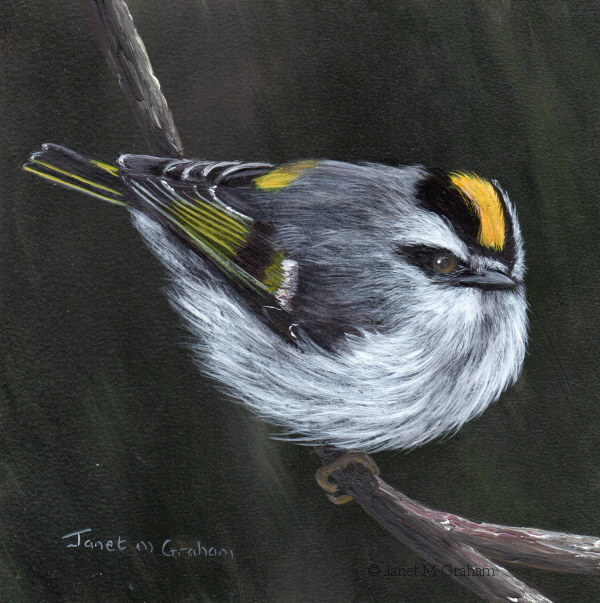 Golden Crowned Kinglet No 4 measures 5 x 5 inches and is painted on Colourfix Smooth Paper. I love how this one is perched on the branch. To get the depth to the feathers, I did quite a few layers / glazes. Superb Fairy Wren No 16 measures 6 x 6 inches and is painted on Colourfix Smooth Paper. 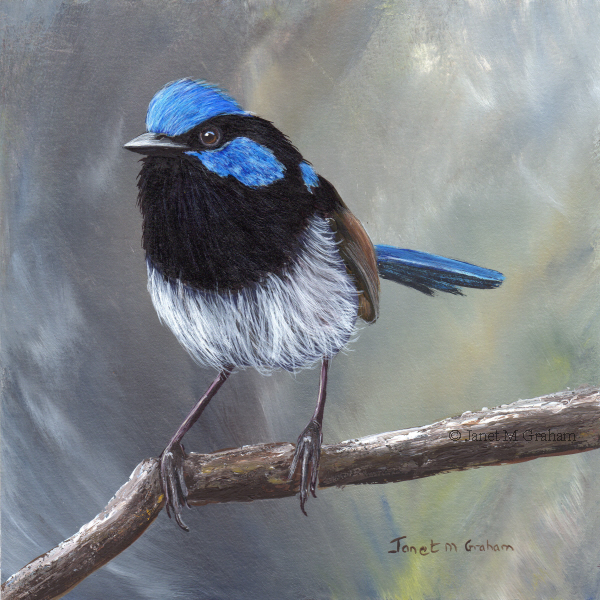 The painting is available for purchase through Bluethumb. To view the listing, please click here. 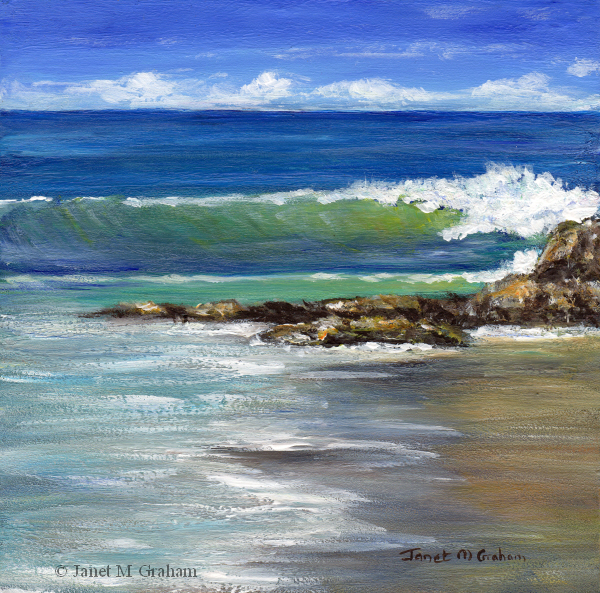 I felt like painting a seascape so went through the photos I took a few years back at Kirra Beach, Gold Coast. Liked how the light reflected off the water/sand on this one. Kirra Beach No 4 measures 6 x 6 inches and is painted on Ampersand Gessobord Panel. To bid in the Daily Paintworks auction, please click here. I love painting yellow feathers so I have a tendency to go looking for yellow feathered birds and come across this one. I love how it is perched on the branch. Hooded Warbler No 3 measures 5 x 5 inches and is painted on Colourfix Smooth Paper. I enjoyed painting this one - everything just seemed to work. 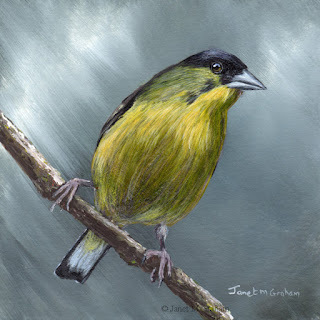 Lesser Goldfinch No 2 measures 5 x 5 inches and is painted on Colourfix Smooth Paper. 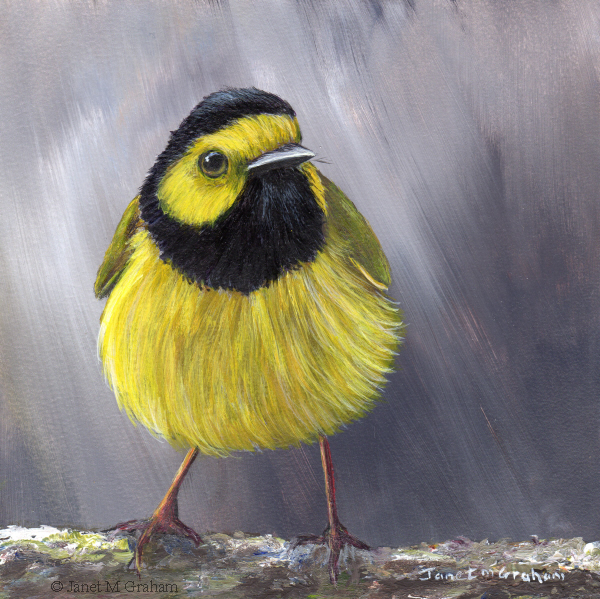 Many thanks to Dee Carpenter for the reference photo. I took the reference photo for this one a few year ago at Australia Zoo. I printed it out ages ago to paint. I have a huge pile a reference photos that I keep adding to so every now and again I will go through the pile and rediscover reference photos that I had forgotten about. 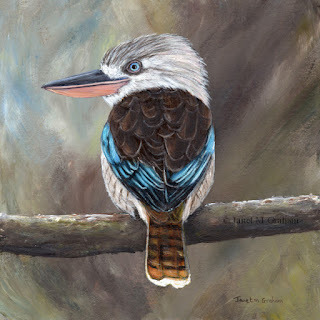 Blue Winged Kookaburra measures 8 x 8 inches and is painted on Colourfix Smooth Paper. I love how this one is perched on the branch. When I finished the painting, I decided to add the flowers as there was a bit too blue and flowers add a pop of colour against the background. 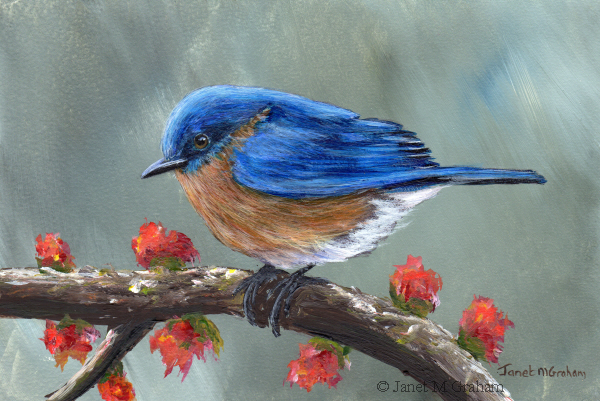 Spring Bluebird measures 6 x 4 inches and is painted on Colourfix Smooth Paper.